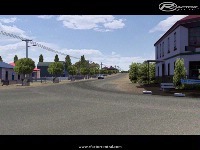 - New building models: Pub, Tannery, Barn on Tannery Straight, Pit Straight Foot Bridge, food stall and toilets. 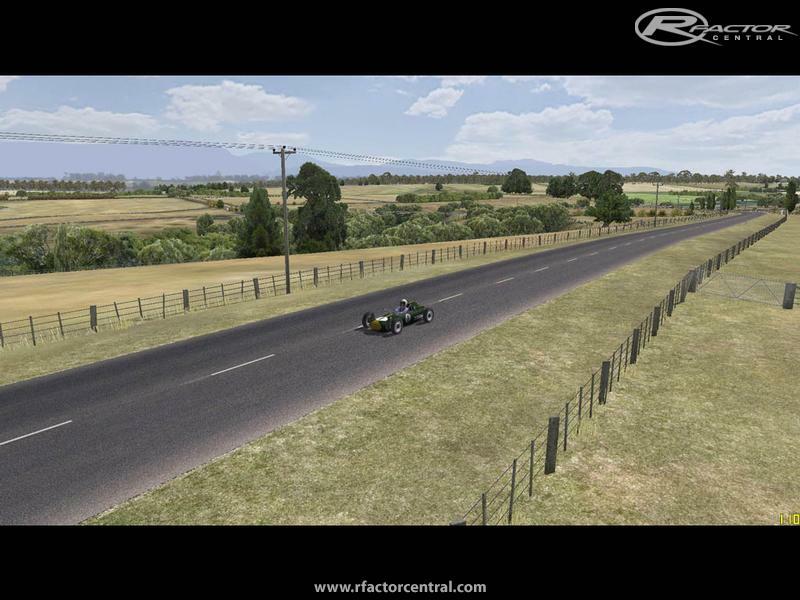 - New object models: starter's drum, start finish signs, small camera/spectator towers, culverts/drains, wire fence panels and gates, fuel/oil drums/barrels, aluminium/timber sponsor boards, small toolboxes, oil cans. - Many more polygons in road (~rF2 specification @ ~1.5m squares = 6 panels wide X ~1.5m long). Bumps are geometry, no TDF bumps. - Many more polygons in road-side terrain. - Animated flags and bunting. - New grass clump textures. More grass clumps. 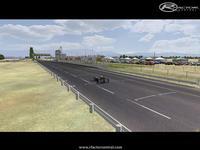 - New and more car models (spectators, race entrants waiting in paddock, ambulance). - Higher-res bush textures (most of them). - Added/redone spec and/or normal mapping on a few things. - Less 2D 'bush walls', more 3D/X-plane bushes. - Return of the rainy and overcast versions. - Flying Mile has been realigned and is more accurate than ever. 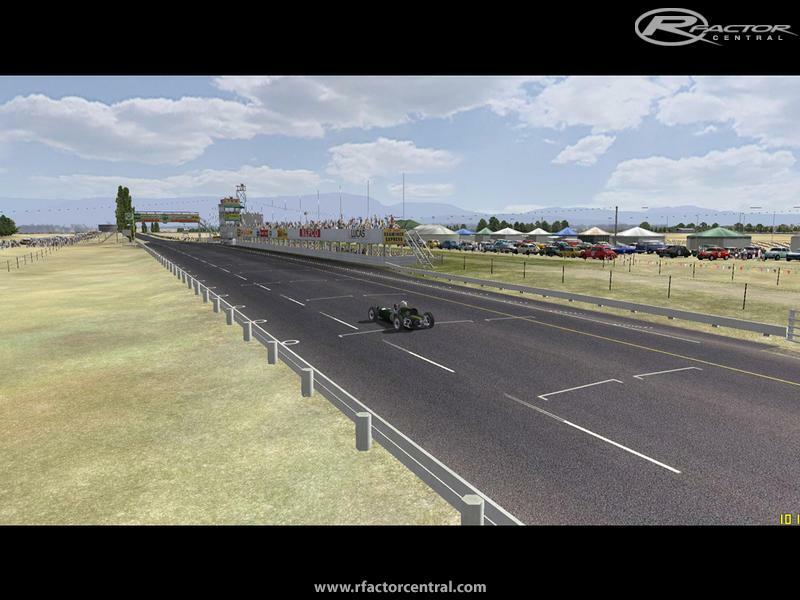 - Kink near the end of Tannery Straight now has a more accurate elevation profile. - King's Bridge now has more even arch/hump. - 'Helicopter' camera set (Group 4). 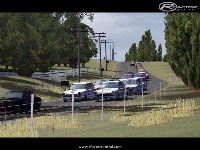 - New white painted fences (start area, viaduct, bridges etc). - Fewer shadows here and there, should improve performance a little. - More detail on external road (opposite the pub). 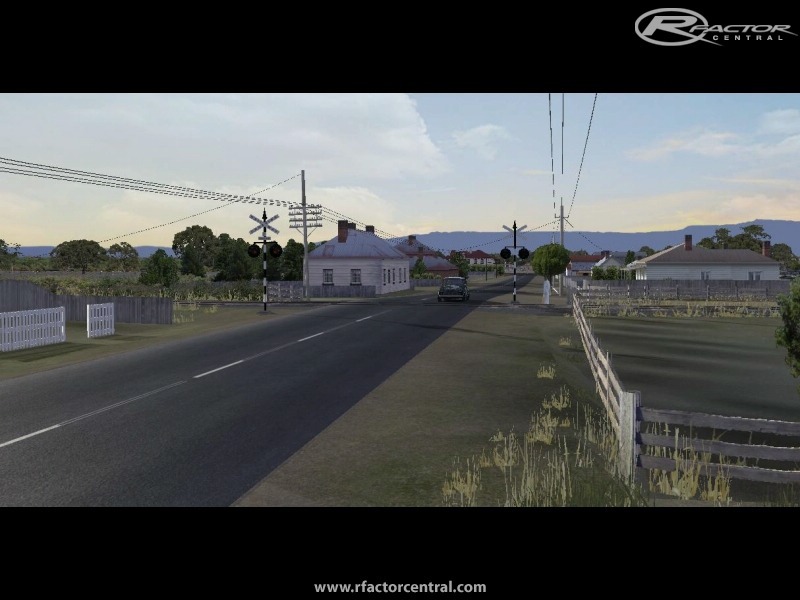 Thanks to everyone who voted Longford (v0.9) into 4th place in the Track of the Year poll here in rFC's MOTY 2010! A scratch built Longford 1967-ish. Public roads around Longford, Tasmania, used for the Tasman Series, touring cars and bikes in the 50's and 60's. Some top line drivers raced there in the day, including a bunch of F1 world champs. The circuit was last used for the 1968 event, and these days some of the the roads have changed. Some bits of road have been torn up for the sake of a highway. both bridges have been pulled down. a big levee wall has raised a section of road. isolated bits of road have been neglected and in one area there is a power substation right in the middle of the track. Fortunately the pub is still there and features a sort of museum dedicated to the track. Made with Bob's Track Builder & 3dsMax. v0.9 used some grass textures from VLM Rouen with permission, thanks VLM, Elwood and Madhorse. Most textures are now scratch-made. A small number of building models are/were from an existing GPL wip (not made by me), and Gustaf from the team has allowed me to use some of the models (some of which have been replaced). thanks Gustaf! 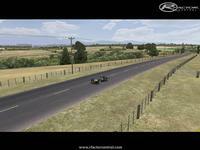 There are currently no setups for Longford 1967. Add a Setup. None of the download links work. The Ansan speedway is a circuit in Ansan of Korea. The round by champ car in Korea was planned from 2005 through 2006, but came to a deadlock. I like the Assen track, it's a great conversion from the SBK game. Hello. My nickname is wizard2275 I want to ask for permission, to convert your track, to F1C old game. I will understand, if don't want to give me permission. Thanks you very much in advance. Regards. Alfa Romeo test track adjacent the factory in Arese. After the closure of production facilities, the track - still in good condition - has been abandoned and misused by some private, has now been rendered unusable by mounting the guard rail blocking the track. Simply fantastic. You really give us a great gift of escapism. Thank you for your hard work for ojr benefit.. I can watch you tube of Longford and the whole event comes alive. Thank you. This is the 'Best' track in so many ways, but the best thing is that it allows the cars to behave and be driven like real cars, and really hustled. It allows scope for really talented drivers to make a difference. Whatever you have done with the track surface behaviour is better and more realistic and more satisfying than any other track I've driven. Longford was an iconic race track and you've captured all aspects wonderfully. I t would be great if you have the enthusiasm and passion to re-create the other iconic Australian track, Warwick Farm. thank you very much. 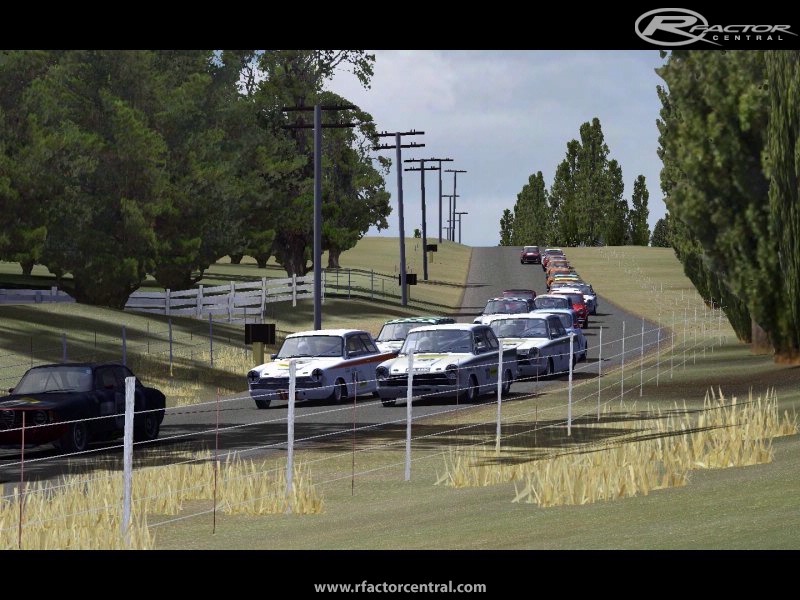 this is a wonderful track and very much looking forward to the RF2 incarnation.